Inspired by brick ovens being the centerpiece of European village life in the 1800s and early 1900s, Racine United Methodist Church members are committed to creating a similar community space through building a wood-fired brick oven in Racine, MN. 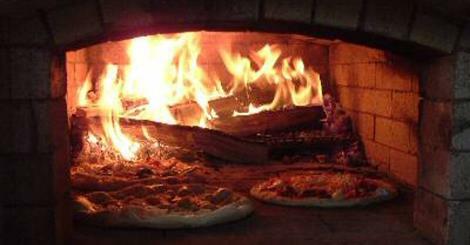 Once built, the oven will be fired once or twice a month where all are invited to come and enjoy artisan breads, creative pizzas, and live music. We are excited to explore how bread making and baking in a wood-fired oven would give us the opportunity to slow down, discover the sacred in the ordinary, and connect - REALLY connect - with people in our community. This would truly be the gift that keeps on giving as we plan to offer a variety of baking classes. Any future proceeds that come from this oven would go back into the community where there is need (i.e., a family with medical expenses, park restoration, food shelf). Please help us make this goal a reality. PROMO: If you donate $100 or more, you will recieve a coupon for a family dinner pizza party -OR- kid's birthday pizza party for 5-8 people. Thank you in advance for any donations made.